Our online public discussion platform. Arts in its all forms (such as performing, visual, street and literature) is perhaps too broad of a subject to discuss, not to mention the discussion on which of the cultural creation that can be taken as arts. So let’s start again with particular forms that we see everyday: graffiti and mural. If we look at the two photos below, which one is which? Is either a form of art? Or both are? 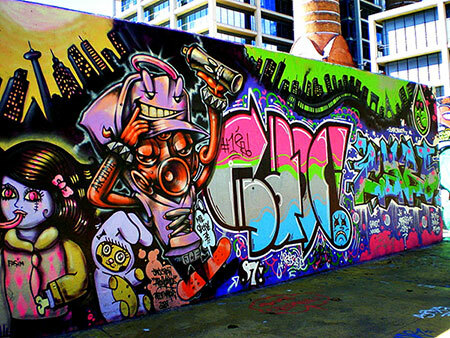 word “graffiti” has a meaning as to write,or to scratch (or to paint) in a public space, like walls and concrete. First picture is a graffiti because it’s a writing (typography) also a painting in public space. 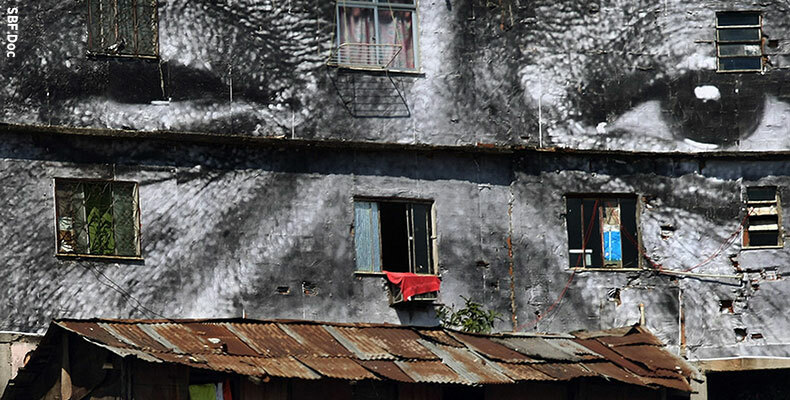 but because its contain meaning or social value that respond to its surrounding (not just some random writing), i think that’s why we called mural. Second picture obviously also graffiti because it’s a writing also a painting in public space. But i think we can’t called it mural because it’s contain only beautiful work (random writing) i think they just graffiti. If its departed from one’s honesty, mural and graffiti are both definitely an art form for me. Maybe it’s just has a different point of view and role to its society, but it’s still indeed an art form and cultural manifestation. Because it’s requiring a bold statement, understanding the environment, artistic skills, daring action and of course an honesty. It’s only a matter of good art and bad art. I think you did not give the answer, So what do you think about G and M Rovalino?? Are those the category of art? Both are considered art for me. Art by its literal definitions are expression and/or application of creative skill and imagination. And to make both pieces of images require creative skill and imagination. Now i am confuse, as far as know graffiti used for tagging the identity, either for person or gangs…yap the first time i know this term from hip hop culture. Mural is an action of drawing in public space/street. Both of them need creativity to impress the audience. so what are they? i remember (but i can’t recall where i read it) when i read about the first graffiti tags appeared as an intentional young man for his recognition. And from that time, graffiti and mural in street scene starting to find its own way to artistically formed. Hello BP91, thank you for the explanation. Are these two photos above falls into graffiti formed or mural formed? Hi Ferdi, glad you’re here..
Based on the picture in your link, are these two photos that we post above falls into one of the category? And could it be classified as “comfort the disturb, and disturb the comfortable?